"I'm worried about my teenager, they're breaking every rule and grounding them and restricting access to technology isn't working." Everyone needs a little help sometimes when parenting teens. 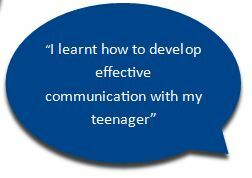 Our Counsellors support parents to find ways to connect with their teenagers and build healthy relationships. Our Youth Workers also work directly with young people and families to provide support and advocacy so that families can thrive. Whatever your concern contact us to find out how we can help.